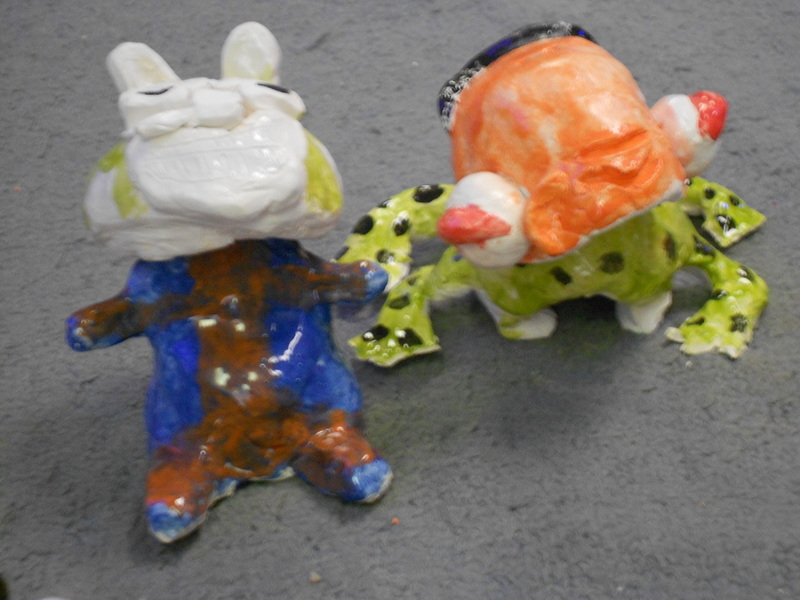 Students randomly chose two animals and one facial expression then had to design a bobble head mixing the three elements together. 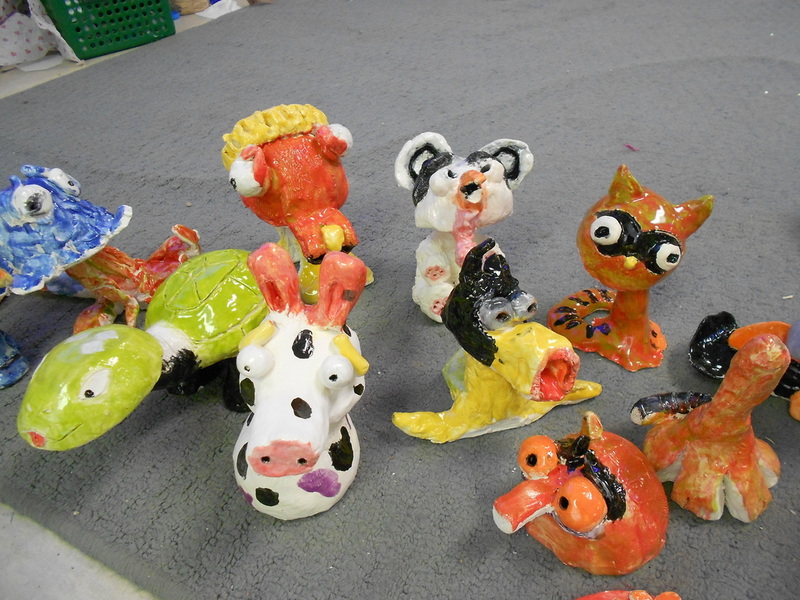 They used clay to build the animals and glaze to add color. 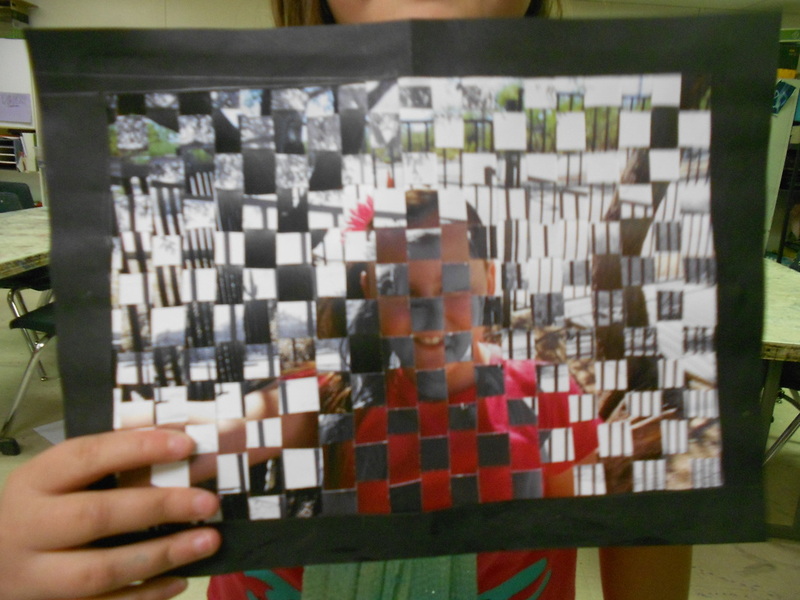 Students took selfies using Mac Photobooth and warping their face. 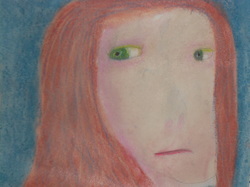 Then using that silly image they created their works using chalk pastels. 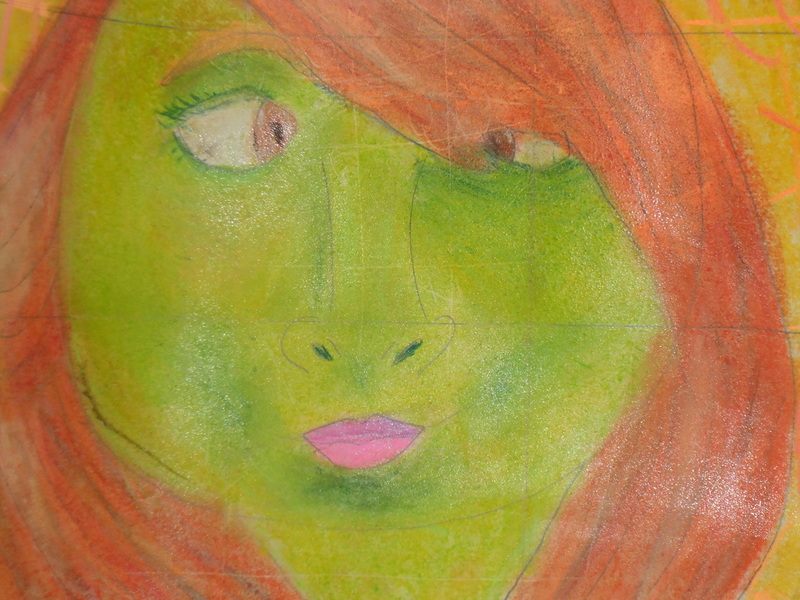 Students blended and layered the pastels to create the shadows and highlights. 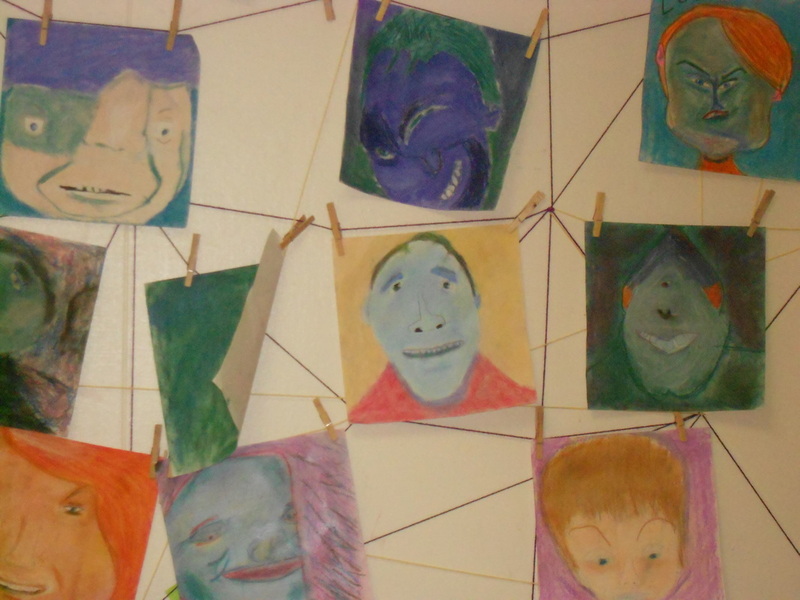 Using different values (lights and darks) is what gives the portraits form (3 dimension). 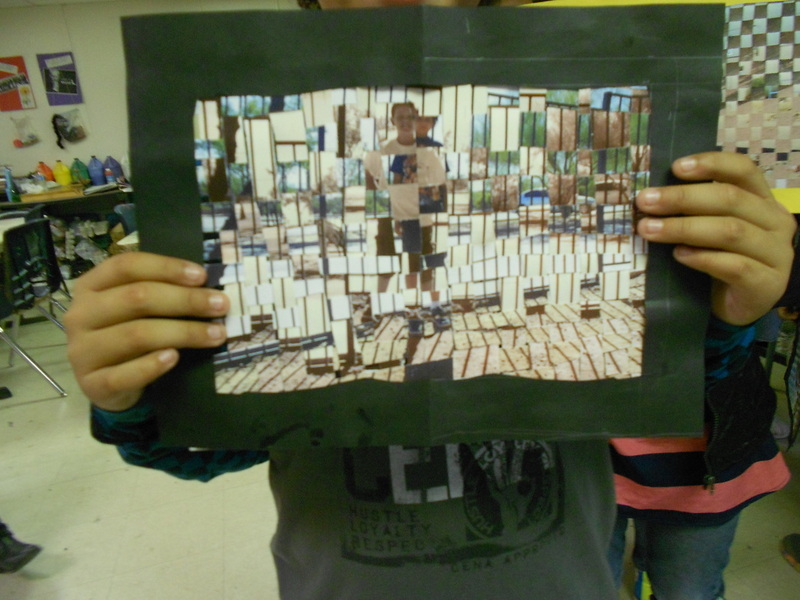 Students took two photos of their choice, then cut strips and wove them together. 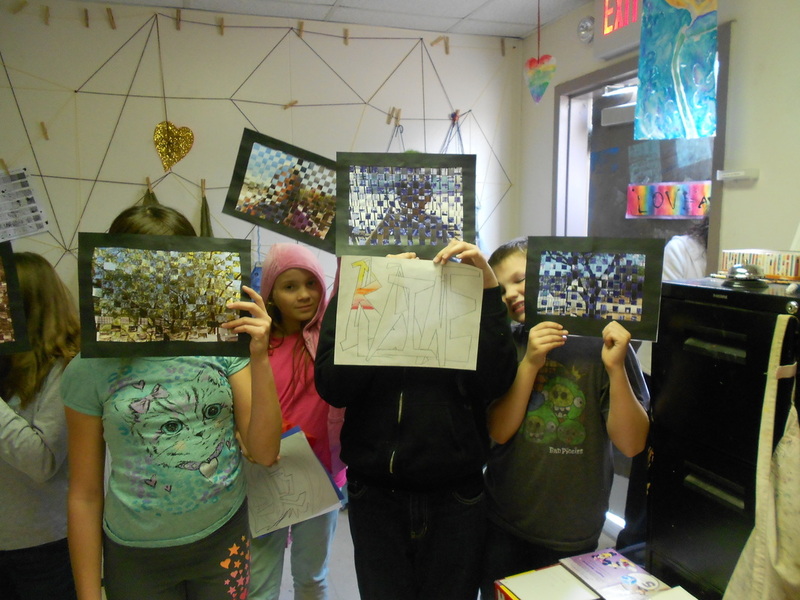 It was a painstaking process, but created very unique artworks.